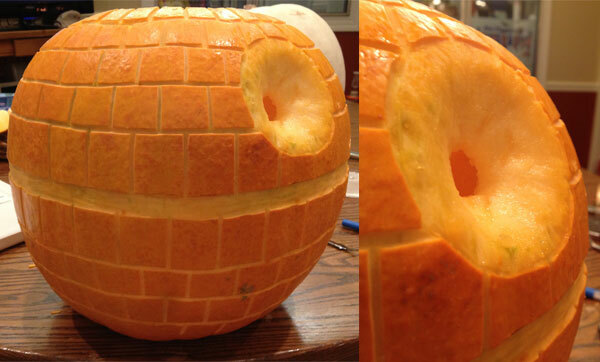 Pumpkin is not just a delicious but can also be used in very innovative ways for decoration purposes. 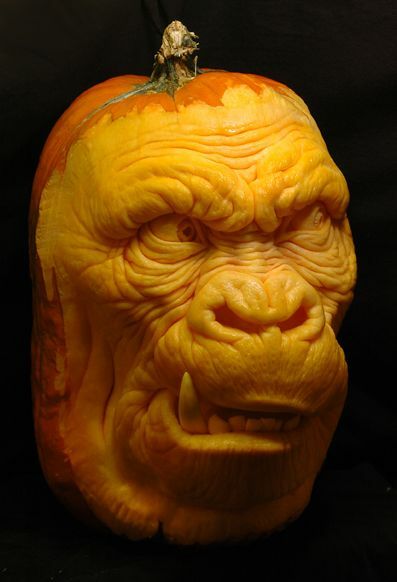 There are different pumpkin carving ideas that one can use ranging from the cute and cuddly to the downright terrifying designs. 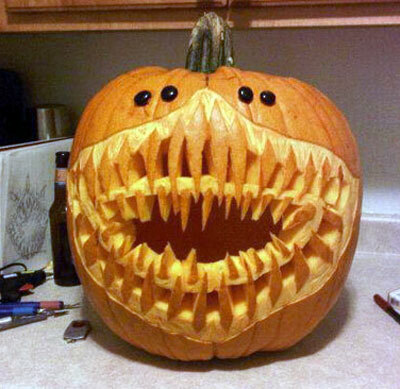 You can use the ideas shared here to get more creative with your pumpkin carving endeavours. 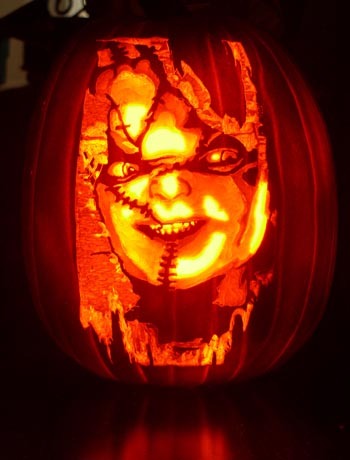 There’s no shame in carving the classic creepy face into your pumpkin, it’s a clear signal to trick or treaters, and looks great from a distance. 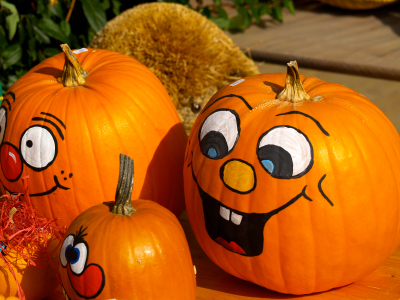 Try to go the extra mile this year by giving your pumpkin eyes with pupils (rather than empty triangles) and a few teeth in his mouth – you’ll be surprised by the difference this makes, adding character to the face. 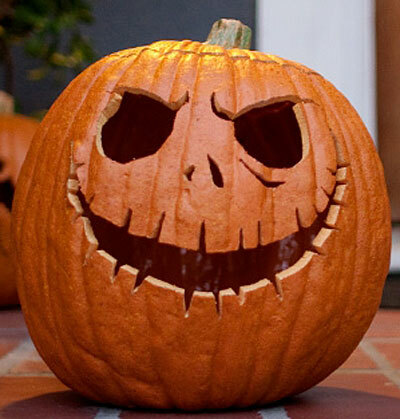 From Batman to R2-D2, carving your pumpkin with a universally recognised cult symbol or movie character is a great conversation starter and really shows off your carving skills. Harry Potter, Chucky the doll, and Frankenstein are just a few that have been successfully attempted before. 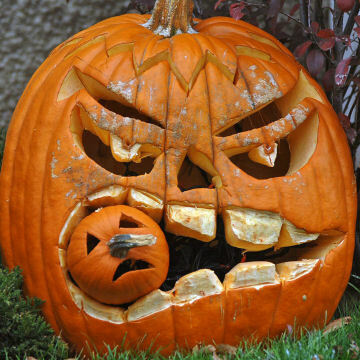 If you really want to impress the neighbours, utilise the thick pumpkin skin to create layers in your image. As well as using the bright orange outer flesh and the light of the candle, carve only halfway through the translucent flesh to create an etherial glow. 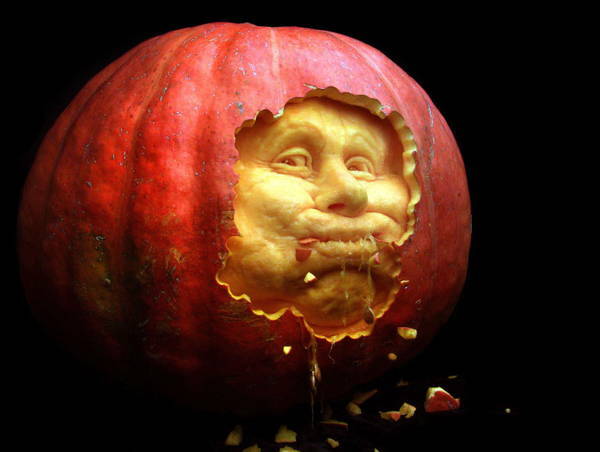 Glowing pumpkins, turnips, gourds and other vegetables have been part of halloween tradition for centuries. Many townsfolk used them as lanterns to guide people home on All Hallows Eve. 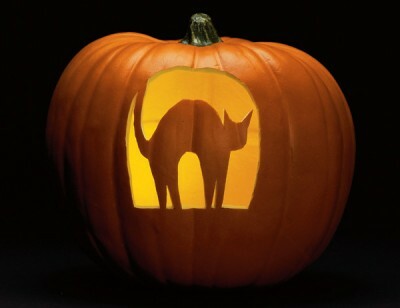 Lighting candles within your pumpkin gives in a spooky flickering appearance, but in the 21st century, there are many more ways we can play with light to delight and entice passersby. 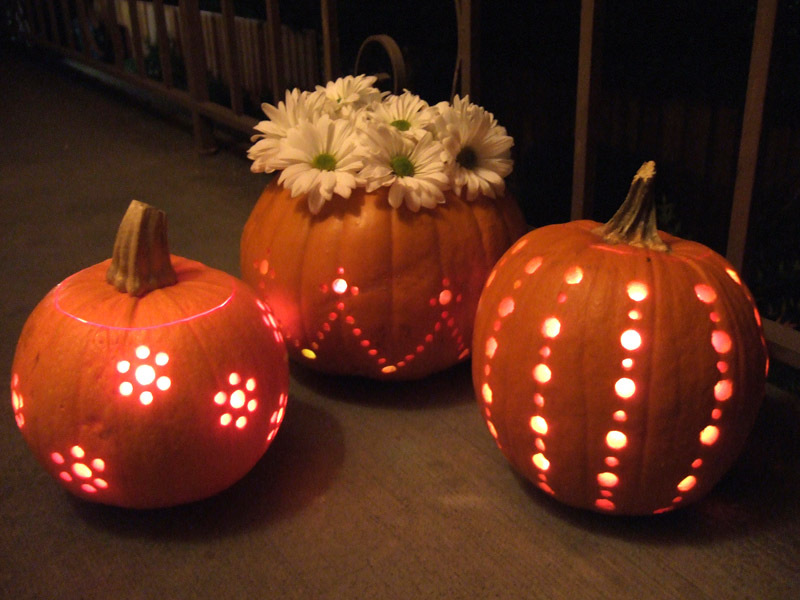 LED lighting provides all sorts of amazing effects, and shines much brighter than the traditional wax candle, flashing lights or UV lighting can also add and unearthly appearance to your carven pumpkin. 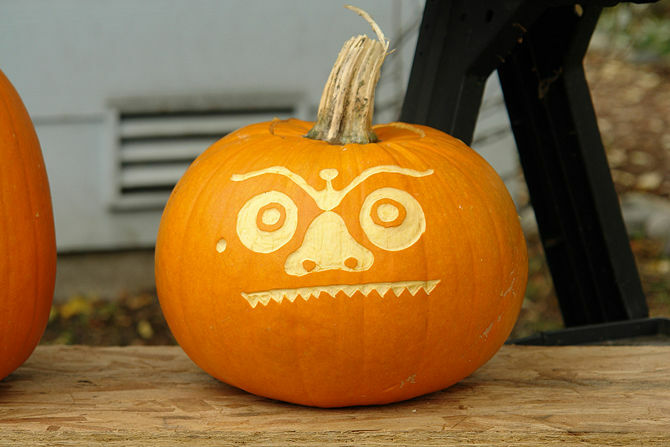 If you’re hosting a kids party, mangled monsters and ghastly ghouls may not be on your carving agenda, easy and effective animals to carve are mice, cats, spiders, bats, and owls. Using bold shapes and soft lines help your critters look happy and friendly, instead of evil! Consider adding ears and a tail to complete the look. 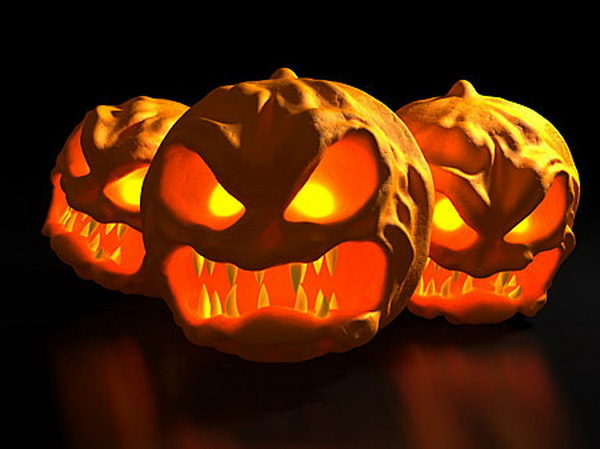 If, on the other hand, you are hoping to really scare some partygoers – with a little bit of precision and effort, your glowing vegetable can become something truly terrifying. Slanted eyes with pupils and surrounding detail, and plenty of fangs in a crooked smile will go a long way. 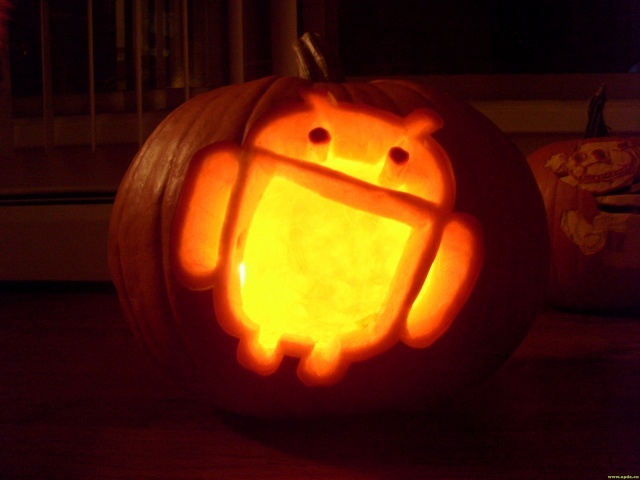 Two is always better than one, especially when it comes to pumpkins. 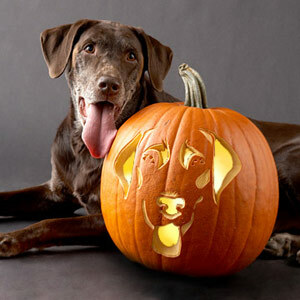 Carving two pumpkins to interact is a great way to create a whole halloween scene outside your house. Perhaps exchanging menacing looks, or having one looking terrified of the other. 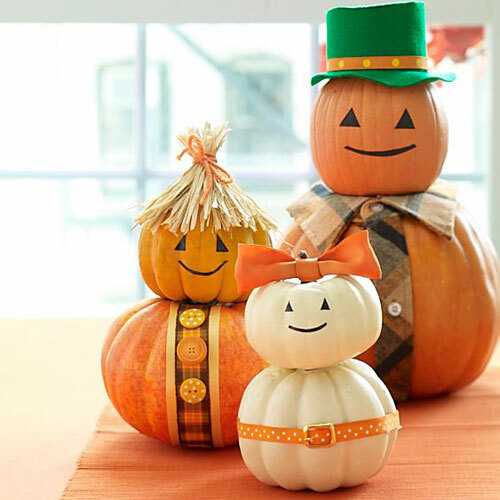 If you can source miniature pumpkins or have two pumpkins of wildly different sizes, consider creating a scene of pumpkin cannibalism or assembling a glowing pumpkin family. 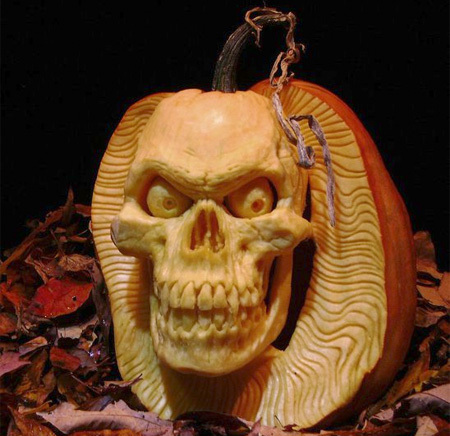 While bright orange is an excellent colour for a pumpkin to be, painting your pumpkin, black, red or white can really add drama to an otherwise simple carving. Skeletons, ghosts, and creepy crawlies can all benefit from this. 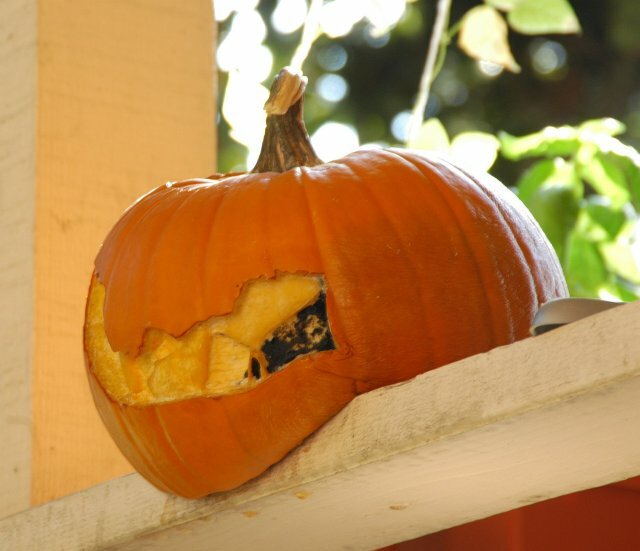 If you have a little red paint left over, consider just letting some drip from the top ‘lid’of your pumpkin. Turn the entire family into flesh eating monsters this season by grabbing a witches cauldron and filling it with delicious homemade pumpkin soup! Quick and simple recipes are easily available and prevent all of that pumpkin flesh from going to waste after carving. Halloween is harvest season and so the vegetable will taste its best and goes beautifully with a touch of spice to warm up those chilly autumn evenings. Pumpkins (and pumpkin seeds) can make great bird feeders during the cold weather. Totally natural and biodegradable, they won’t bring any hard to the habitats around them and hang very prettily in any garden. If you want to give your front porch an original halloween addition, consider a pumpkin bird feeder – you could even place a few fake crows on it to give passersby a scare! So whether you’re trying to scare the neighbours, entertain the kids, or feed the family, you should be able to put all parts of your pumpkin to good use. 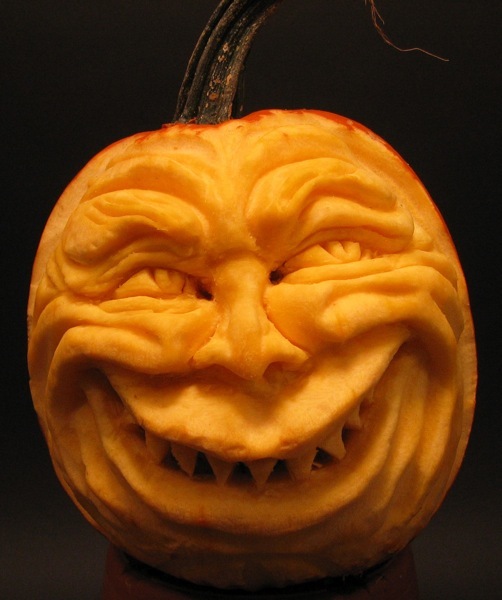 While purposefully designed pumpkin carvers are your best bet, a sharp kitchen knife or Stanley knife will make quick work of the thick pumpkin skin – just be careful that the pumpkin is the only thing you cut!